Carmel, CA, October 07, 2018 – The Center for Photographic Art (CPA) expands its reach beyond Carmel, California, with an exhibition and related events in Santa Cruz, CA, at that city’s premier art space, the R. Blitzer Gallery, located in a renovated warehouse, once home to the historic Wrigley chewing gum factory. A broad-ranging invitational exhibition, State Of The Art (SOTA) features fifteen prominent and innovative Northern California photographers. The exhibition will run from November 2 through November 29, 2018, and will kick off with a festive opening reception during Santa Cruz’s First Friday, November 2, from 5:00 to 8:00 pm. In addition, a variety of SOTA events will run throughout November, with all tickets available via Eventbrite. Please join us in exploring photography’s fascinating and inspiring State of the Art during the entire month of November. Center for Photographic Art is thrilled to welcome an expanded audience to a groundbreaking exhibition of leading Northern California photographers who explore a range of contemporary issues. Exhibiting are Brigitte Carnochan, Linda Connor, Binh Danh, Janet Fine, Sara Friedlander, Shelby Graham, Chris Johnson, Karolina Karlic, Bob Kolbrener, Robin Lasser & Adrienne Pao, Kathryn Mayo, Ryuijie, Jerry Takigawa and Huntington Witherill. Their photography reflects a diverse array of current and historical mediums, including digital imaging, gelatin silver, platinum/palladium, wet plate collodion, daguerreotype, and mixed media. In addition to the exhibition, on Saturday, November 3, CPA hosts Freestyle Photographic Supplies for an on-site digital printing workshop. Following the workshop, CPA presents a panel discussion, “Breaking Boundaries,” with participating photographers Binh Danh, Sara Friedlander, Karolina Karlic and Robin Lasser, moderated by CPA’s Executive Director, photographer and educator, Brian Taylor, and Wallace Baine, former Santa Cruz Sentinel Arts Editor and freelance art writer. Then on Wednesday, November 14, CPA hosts a special reception with former long-time Congressman, Honorable Sam Farr, in acknowledgement of his contributions and support of the photographic arts in the Monterey Bay area. Finally, as a complement to the exciting SOTA exhibition, CPA hosts a thematic online photography competition titled, “The Human Spirit.” Our jurors are Ann Hazels, Director of the Radius Gallery, Santa Cruz, and photographer, educator and CPA Assistant Director, Rick Murai. All are welcome to enter and vie for five hundred dollars in prizes. All entries will be featured on CPA’s website and viewable by our global audience. A lively and informative jurors’ talk and awards presentation will take place on Saturday, November 17. Tracing our roots back to the Friends of Photography, founded in 1967, the Center for Photographic Art (CPA) remains the second oldest members’ photography gallery organization in the country. A short walk from Ocean Avenue in Carmel, CA brings you to the venerable gallery launched by iconic artists Ansel Adams, Cole Weston, and Wynn Bullock. Today, CPA continues to serve as a valuable cultural resource to its members, the community and the greater world of the photographic arts. Big Sur, CA, September 12, 2018 – The historic Big Sur River Inn serves as the host and backdrop of one of the Big Sur Foragers Festival’s most popular events, the “Fungus Face-Off,” set for Saturday, Jan. 19, 2019. The Face-Off at the River Inn, set under the oaks overlooking the Big Sur River, features celebrated local chefs competing for the best foraged dish, and will include food tastings, fine wines, craft beers, raffles, a silent auction and more. The River Inn has a significant presence in Big Sur history and lore. The inn’s history goes back to 1888, when Jay Pheneger acquired a 160-acre parcel from the federal government and gave his name to the creek that bounds the River Inn on the south. Homesteaders Barbara and Michael Pfeiffer bought the property, and in 1926, Michael, and Barbra’s son John took over the land on which the Big Sur River Inn now stands. The inn was opened in 1934 by his daughter Ellen Brown. She opened her living and dining rooms to the public and began serving hot apple pie, which is still served today and gave the place its first name, Apple Pie Inn. Lodging units were built and Big Sur’s first resort was established. In 1943, Ellen’s sister, Esther Pfeiffer Ewoldson and her husband, Hans, took over the operation. Esther replaced her mother as Big Sur Postmaster and the Post Office was moved to the River Inn, situated where the front office of the motel is now. The Pfeiffer and the Ewoldson families started a tradition at the Big Sur River Inn of fine food, excellent service, and warm hospitality. In 1988, the Perlmutter family, along with a small group of close friends, formed a partnership to carry on that tradition. This year, the Big Sur River Inn extends its tradition of hospitality to host the Big Sur Foragers Festival. The Foragers Festival has traditionally served as a fundraiser for the Big Sur Health Center. The community’s non-profit health center will receive the proceeds from the foraging events to continue to support the presence of local health care services in the Big Sur area. The four-day festival affords Big Sur area restaurants the opportunity to host the culinary expertise of notable chefs, who will be preparing unique fare ranging from rustic to elegant, paired alongside the central coast region’s amazing selection of wine and beer. >A Thursday Night Fundraiser at Lugano’s Swiss Bistro. Details to come. >Saturday Foraging walk led by local experts. “Wild Mushroom Walks and Talk” led by Steve Copeland of Big Sur Guides and his team of expert mushroom foragers. >Sunday we are finalizing several brunch fundraisers around Monterey County. Stay tuned for more details coming soon. For event details and venue information, visit www.bigsurforagersfestival.org. The Hyatt Regency Monterey Hotel & Spa has announced the hiring of Jenny Lopez as Director of Events. Monterey, CA, April 04, 2018 — The Hyatt Regency Monterey Hotel & Spa has announced the hiring of Jenny Lopez as Director of Events. 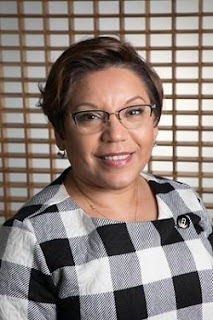 Just prior to joining the Hyatt, Lopez was part of the management team at Hilton San Jose, and before that, at the DoubleTree by Hilton San Jose. Lopez started her hospitality career at the luxurious Westin Century Plaza Hotel & Tower in Los Angeles. In the 10 years she worked at the property she gained a well-rounded experience in the areas of Housekeeping, PBX, Reservations and Catering/Event Service. She assisted and serviced some of the most prestigious gala events the property was well known for hosting. To expand her career growth, Lopez relocated to Orlando, Florida, where she worked at the Swan and Dolphin Hotels in the Disney World area. She spent seven years in the Orlando area working for Westin, Starwood, independent hotel chains such as Adam’s Mark and IHG. She returned to Los Angeles to be closer to family and joined Hilton Hotels & Resorts in Burbank. Her career came full circle in 2008 when she returned to the Century Plaza Hotel in Los Angeles, by then part of the Hyatt Hotels & Resorts family. Lopez says it was great to see familiar faces and to go back to where it all had started for her. Nestled in 22 acres of soaring Monterey Pines, the Hyatt Regency Monterey Hotel & Spa on Del Monte Golf Course is a destination resort providing the discerning traveler the quintessential Monterey experience. Its location offers guests close proximity to downtown Monterey and Monterey Airport and easy access to some of the Peninsula’s most well-known attractions. With its warm, contemporary ambiance, elegant furnishings and convenient amenities, the hotel offers both leisure and business travelers a Northern California respite of unmatched serenity and comfort. Features include 550 guestrooms including 32 suites, and the President’s house, TusCA Ristorante, Knuckles Sports Bar, Fireplace Lounge, a 2,000 square foot fitness facility, tennis courts, pools and whirlpools, and 12,000-square-foot full-service spa. The hotel is located at 1 Old Golf Course Road in Monterey, California. For information call (831) 372-1234 or visit www.hyattregencymonterey.com. The event will take place on Saturday, 10 December 2016 from 3-7 pm. 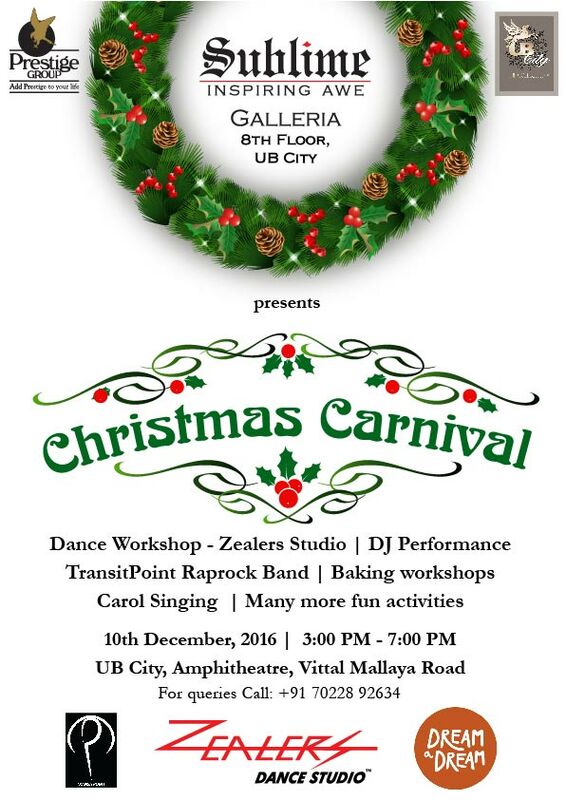 Bangalore, India, December 9th, 2016 — To kick-off the festive season, Sublime Galleria is all set to present a grand Christmas Carnival from 3-7 pm on Saturday – 10 December 2016 at The Collection, UB City. The Carnival aims at celebrating the spirit of giving by involving children and adults. With face painting, hair braiding, selfie stands with Santa, workshops on dancing, and a show by a Bangalore-based rap and rock band, Transitpoint, the Carnival promises to be a delight for everyone across all age groups. Additionally, children from ages 5-17 are being given the opportunity to turn entrepreneurs and manage their own operations from end-to-end, with 12 stalls being provided to them. The youngest child, who is all of five years, will be selling homemade bath products and cookies. The children will sell their own creations – Christmas treats, snacks, and games – and will personally hand over 10% of their cash sales to Dream a Dream, a charitable trust based out of Bangalore. There will also be a stall by Hoopsters Club, an online platform for children to express their opinions and showcase their talents. * 4:30pm – 7:30pm: A group of carolers will spread the Christmas spirit by singing at different spots around The Collection, UB City. * 6:00pm – 7:30pm: Rap band Transitpoint, which will perform a mix of Christmas carols and their own compositions. CDs from their new album, Hayyath, will also be sold at the Carnival. The beautiful interiors of The Collection, UB City will be transformed to reflect this theme, with the lighting of the Christmas tree at 6:30pm. Additionally, the bridge on the second floor of the mall will display a collection of sketches, portraits, and landscapes by a young and extremely talented self-taught artist, Priyanka Muthuraman. A recent graduate of architecture, Priyanka believes in creating art from old materials, thus preserving the beauty of the old while adding a modern touch to it. All proceeds from the Carnival will go towards Dream a Dream, a registered, charitable trust empowering children and young people from vulnerable backgrounds to overcome adversity and flourish in the 21stcentury using a creative life skills approach. Currently, the organization works with 10,000 young people referred from 40 partner NGOs, trains over 2,000 educators impacting over 1,00,000 children and young people and sensitizes over 2,500 volunteers through their unique Life Skills Development model. They work on a strong collaborative approach with local charities, corporates, volunteers, expert consultants and a host of national and international strategic partners. Dream a Dream is considered to be a pioneer in the Life Skills space in India and was recently recognized by Lego Foundation and Ashoka, as a Champion in the space of re-imagining learning in the world. The paintings will be on display at The Taj West End from 09-15 December and at Sublime Galleria, UB City from 16-31 December 2016. Bangalore, India, December 8th 2016 — Sublime Galleria and Taj West End present ‘Elite Strokes’, a collection of paintings capturing the essence of natural beauty and human interactions. Created by M.R. Deshmukh, a prolific painter from the heart of the beautiful Sahyadri Mountains, the paintings will be on display from the 09-15 December at The Taj West End and 16-31 December at Sublime Galleria situated on the 8th Floor of The Collection, UB City. The Opening Night of the exhibition will take place on Friday – 09 December 2016 at the beautiful Art Corridor at The Taj West End. Given that both The Taj West End and Sublime Galleria are strong patrons of the arts, most of the art aficionados from the city are expected to be present at the event. M.R. Deshmukh rejects the traditional approach to countryside paintings by liquefying forms in his works and capturing the fleeting essence of nature. He’s particularly fascinated with the impact of light on the views around him and expresses this in his work. While all his paintings bear his signature style of bold, short strokes and strong colours, each piece of art tells a unique story. M.R. Deshmukh’s works have been bought by some of the most influential art collectors in the country. His paintings have won several awards, including the Best Painting Award by Art Society of India. His works have been displayed in top commercial and hospitality properties across the country, including Hotel Taj (Bombay), Bank of America, Hindustan Unilever, and many more. Sublime Galleria, located at UB City, is India’s first Sky Gallery founded in 2009 by Ms. Uzma Irfan – Director, Prestige Group. Having hosted several successful exhibitions in the past, it is recognized for its contribution for putting Bangalore on the global art map. It brings in a regular contingent of eminent art experts, reputed masters as well as rising artists. This reputed space is on a mission to further the cause of the arts and also place itself as a dynamic crucible for the next generation to develop and showcase their talent. For this, Sublime reaches out to upcoming artists and offers them a platform to showcase their talent, while making their body of work accessible to the art-loving community of Bangalore. The Gallery is also associated with showcasing the works of renowned artists of international repute like Padmashri award-winning artist, Thota Tharrani, Thota Vaikuntam, Pallavi Foley, Pallon Daruwala and Vijit Pillai, among others. Sublime aims to showcase hitherto unseen/the latest works of artists, both established and upcoming, to the art patrons of the city. Another highlight of the Gallery that sets it apart from its counterparts is that it commissions art for high-end hotels, hospitals, offices and residences. The Gallery collaborates with the client to suit the technical requirements, aesthetic vision and budgetary details of the project. They work with the project’s interior designers to suit their vision and give art along those lines. Sublime ensures end-to-end realization of the designated vision. So far, they have commissioned art for ‘Aloft’, part of Starwood Hotels & Resorts, in Whitefield, Bangalore. They have organized artworks for 190 rooms including Presidential Suites, Gallery Art and art for their lobby and restaurants. They are currently commissioning art for the Sheraton Hotel, Whitefield. Sublime Galleria is also involved in the procurement of art for private and independent collectors, exhibitions and auctions, specific to quality, price & artist profile. With pop-up restaurants, art and music, the event will take place on 19 & 20 November 2016. Bangalore, India, November 18th, 2016 — DIVRT presents ‘Flavours of UB City’, a celebration of the city’s finest restaurants, entertainers and artists. The event will take place on Saturday and Sunday – 19 & 20 November 2016. Over the weekend, 15 of UB City’s restaurants will be presented as pop-ups, offering the best of world-cuisine. Not limited to food alone, the festival will also offer gift hampers from UB City’s finest luxury brands. The proceeds from the gift hampers will go to the U&I Trust, a volunteer-driven charitable organization based in Bangalore. The Trust started off in 2011 with the primary vision of serving the underprivileged and empowering them to reach their fullest potential. Today, U&I has Learning Centres functioning in ten major cities across India, impacting the lives of 850+ students with the help of 1000 volunteers. 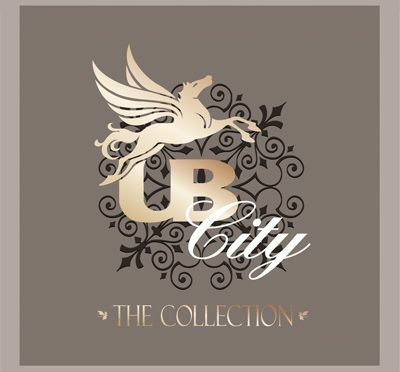 “The Collection, UB City, is known to provide the best mix of global cuisine under one roof in South India. While the restaurants present there are mainly for fine dining, their pop up versions over the weekend will provide a variety of dishes in a range of prices” she added, “I welcome everybody to come enjoy a mix of food, comedy, and entertainment with us this weekend”. The food festival will kick off on 19 November at 1 pm, with food and beverages provided by Amande, Rasovara, Caperberry, Fava, Café Noir, Café Mangii, Subway, Chocolate D’Luxe by Bliss, Singkong, Shiro, Made in Punjab, Toscano, Sancho’s, Sublime House of Tea, and more. Beautiful floral arrangements from Floradelic will also be available for sale. Cuisines will range from Italian, French, Mediterranean, Mexican, Pan Asian, Modern Indian Fusion to North Indian and Rajasthani. And there will be flavorsome herbal teas and delicious desserts to compliment the meals. Line-up of Activities: Entertainment begins 7 pm onwards both days. With art by Sublime Galleria, installations of a massive chef hat, fork & spoon, and LED lights, the interiors of The Collection, UB City, will reflect the festival’s theme, transforming it into a foodie’s paradise for the weekend. Sponsors for the festival include DIVRT, Himalayan and Entrée. The Hyatt Regency Monterey Hotel and Spa thinks of itself as the “Hub of Heaven” as it relates to its exclusive location on the Monterey Peninsula. Monterey, CA, March 22, 2016 – The Hyatt Regency Monterey Hotel and Spa thinks of itself as the “Hub of Heaven” as it relates to its exclusive location on the Monterey Peninsula. Centrally located to be accessible regionally as well as nationally, with proximity to world renown destinations including the wild and dramatic Big Sur coast, World famous golf courses of Pebble Beach, Carmel-By-The-Sea for upscale dining and shopping, award winning wineries of Monterey County and of course Cannery Row as made famous by author John Steinbeck including the Monterey Bay Aquarium. Located on the renowned Del Monte Golf Course, the Hyatt Regency Monterey Hotel and Spa is one of the most beautiful and scenic locations for a meeting or conference on the California coast. The Hyatt Regency Monterey Hotel and Spa should be your next choice for meetings and conferences! As the largest Hotel with the most function space of any venue in the three county area, we can accommodate groups and events up to 800 attendees. Attendees and guest will appreciate the central location, ease of access, complimentary self-parking or arranged valet parking and the renovated, upscale designs and décor of our Ballrooms and meeting venues, not to mention award winning cuisine and superb service that Hyatt has become known for. Planners will appreciate the level of experience, creativity and sense of partnership that they receive from our Event Planning, Culinary and Banquet staff. From initial concept to final billing, the Hyatt Regency Monterey Staff is at your side! The Hyatt Regency Monterey Hotel and Spa, with 550 Guest Rooms and Suites in a variety of configurations and views, captures an atmosphere of intense energy and inspiration and has become a favored destination for corporate meetings, business retreats, training sessions and conferences. The design for the Meetings and Conference Center at the Hyatt Regency Monterey Hotel and Spa is inspired by this “great meeting of sea meets land” and reflects the unique characteristics and drama of a location that fosters creativity. Our 40,000 square feet of versatile indoor and outdoor pre-function, meeting and event space includes an expansive Two (2) Ballroom Choices; the 11,000 SF Regency Grand Ballroom and the 6,000 SF Monterey Ballroom, 18 breakout rooms and the outdoor Garden Terrace Courtyard. All of our spaces feature state-of-the-art audiovisual equipment, high-speed internet and advance rigging options. Group participants at the Hyatt Regency Monterey will be pleased to find an attractive and convenient building and grounds design as well as state of the art meeting facilities. Planners and participants will experience ample opportunities to be able to network and interact with their associates at a variety On-site dining options including our signature restaurant TusCA Ristorante, the popular Knuckles Sports Bar, and Fireplace Lounge. As down time permits, they may also want to make use of Several on-site activities including two outdoor swimming pools, Marilyn Monroe Spa, 24-hour fitness center, tennis, and golf at the adjacent Del Monte Golf Club (a Pebble Beach Resorts course). To experience the Hyatt Regency Monterey and take advantages of special Guest Room Rates and Group F&B Discounts available through September 30, 2016, fill out an RFP form available on our website at monterey.hyatt.com OR call OR Email a Sales and Event planner will be in contact with you within 24 hours. 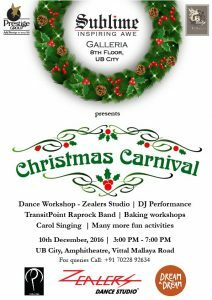 Performance by the Abhayam Band, Stalls, Dance Workshops, Meet & Greet with Santa and much, much more. Bangalore, India, December 17th, 2015 — With Christmas around the corner, the season’s festivities are in full swing. As everyone gets caught up in the excitement that the close of the year always brings, Sublime Galleria located on the 8th Floor of UB City is gearing up to bring some merriment into the lives of underprivileged children and they have chosen a very special way to do this. Through the Children’s Christmas Carnival, they are encouraging other children to come forward and help their underprivileged counterparts. Scheduled for Sunday, 20th December, 2015 between 4-7pm, the event will host a bunch of activities and donate the proceeds to an NGO – Abhayam. The event promises to be an extremely entertaining one for kids as Sublime Galleria, is giving them a chance to take on the role of young entrepreneurs. Stalls are being provided at the Piazza where children can sell baked products, handmade jewellery and other handicrafts that they have made themselves. A percentage of the proceeds from these sales will be given to Abhayam. In a heart-warming display of their enthusiasm towards this cause, several children have already reserved stalls for the event. And this is just the beginning. The 5-hour long event will also include dance workshops, face painting, a caricature stall and an opportunity to meet and greet Santa Claus. The highlight of the event is performances by the distinctive Abhayam Band. The Children’s band by Abhayam will sing popular and well-loved Christmas Carols for the audience and this will be followed by a foot-tapping performance by the main Abhayam Band. Two more interesting additions to these performances are a Beat Boxing Solo as well as a performance by a 70-year old retired Colonel who will play Christmas Carols on his Accordion and the Carpenter’s Saw. Abhayam has a very interesting history. It is an NGO that works with substance abusers and alcoholics. Music being an important part of the healing process for over 200 of their patients resulted, 4 years ago, in the formation of the band. The band has gained in popularity over the last few years, and now every Christmas Season they travel to different locations in Bangalore and outside to perform in concerts and shows. A rock band mainly into blues and progressive rock, the band was created by the rehab centre to create awareness of and promote music therapy. Theme-based creative craft workshops to be held during weekends through May 2015. Bangalore, India, May 15th, 2015 — School children are on their summer break currently and have about a month of holidays left. This is the ideal time for them to pursue their hobbies. Jacadi Kids Art Connect, organized by team ChotuPainter is bringing theme-based creative craft workshops to The Collection, UB City for children aged between 2 to 12 years. These workshops will be held during weekends through the month of May. The theme for the workshops is Paris Fashion & Clothing. Craft articles will be developed around this theme to teach kids about Paris, its culture, kids fashion and style. The children can take away their creativity in terms of finished articles developed by them with the assistance of the expert faculty. Some of the craft activities provided as part of these workshops are Fashion Doll Dressing, Cool Key Chain, Party Mask, Fashion Bags, Stylish Bookmark, Paris Greetings, Quelling Jewelry Costumes Designs and Eiffel on Canvas, among others. The idea behind organizing an event like this in The Collection, UB City is to allow parents to leave their kids at the Jacadi Kids Art Connect Counter and enjoy their shopping experience for the duration of 45 minutes – 1 hour. By the time they are done, the children have not only enjoyed themselves but also learned something creative. For all participants, Jacadi is offering 10% discount vouchers along with a chance to win a Jacadi Kids Club Membership.